Tabula Rasa (the Belgian tv series on Netflix) is perhaps the defining example of the sub-trope of “forgetting herself” in the Girls Underground archetype – its protagonist Mie has retrograde amnesia; she can’t remember anything, and it may be her downfall. Mie, an adult, has suffered memory loss due to a car accident. As she sits in a mental hospital, suspected in the disappearance of a man she can’t remember, she slowly pieces together the events that led there. Her family can’t be trusted – she is on her own. Her daughter has been acting disturbingly since the accident and she may have to save her. Her companion in the present is a pyromaniac who befriends her on the ward – in the past, it is the man she may have killed. Time is running out as we find out that he may still be alive, and she must remember in order to help him. Because of the mystery angle to this show, we don’t discover who the real adversary is until the last episode. And unfortunately, Mie does not defeat them herself, meaning that this is more of an honorable mention, all told. But there is a betrayal by a companion, a return to home (in the form of many flashbacks, and when Mie briefly escapes), and of course, she forgets herself. Not to mention, it is a pretty engaging story, and pretty terrifying to imagine being that adrift from moment to moment. Eleven has been taken away from her family. She goes back and forth between this world and an otherworld. She has one of those double-adversary situations: there’s the horrible Dr. Brenner who uses her powers for his own purposes (and has “minions” in the form of the other people from the lab who come after her), and then there’s the monster, the thing from the otherworld that eats people. Her companions, of course, are the boys. Eventually, her goal is to rescue their friend. She may have forgotten herself, as she doesn’t seem to know anything of her life (or even name) before she was taken for experiments. And she has a final showdown with the monster. It’s an amazing show, worth watching on many levels, but it was nice to also see a nod to my favorite archetype in the mix. 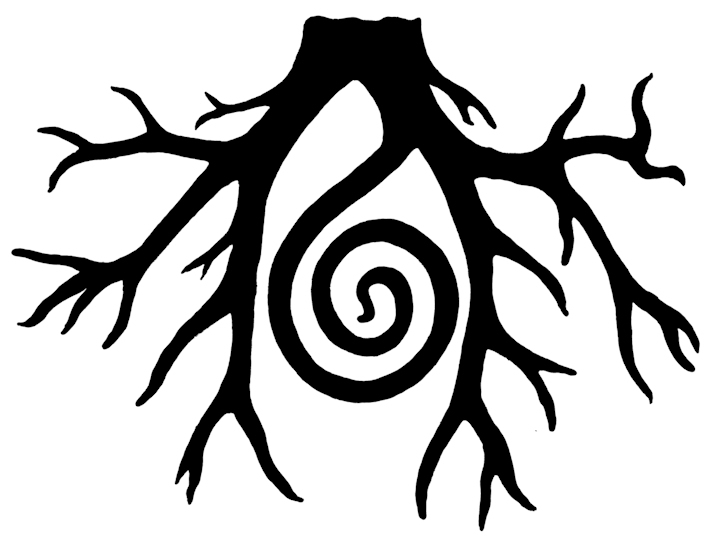 ETA: An astute reader reminded me of the name of the otherworld, Upside-Down – while not quite Underground, it has the same connotations, so yet another point of connection with the archetype. I’m only through Season 2 of Orphan Black right now, but it’s shaping up to be a nice Girls Underground story. It even has one of the common plot points (being an orphan) in the title! While actually featuring a number of cloned women (all played amazingly by the same actress), the clear protagonist GU is Sarah, who is pulled into a whole new world of craziness when she discovers her true identity as a clone. She spends the series trying to save her daughter from nefarious and mysterious scientists, along with her clone-sisters as companions, as well as her foster-brother Felix and possibly-not-to-be-trusted Siobhan. They seem to have done a classic feint with the identity of the adversary, first making it appear to be Leakey, but now resolving into Rachel… which makes an interesting GU/Adversary pairing, since Rachel is yet another clone. Will have to keep watching to find out if it culminates in the traditional GU ending. This is another example of “If the Story Were About Her“. If you watch the first season of the television show American Horror Story from the perspective of the daughter, Violet, it appears to be a Girls Underground story. Warning: SPOILERS ahead, I can’t talk about this without them. First of all, the entire show takes place in a house, as many GU stories do – an extremely haunted house. In fact, Violet can’t even leave the house by the end, once she has died there (returning to her life as if everything is still normal after that transition mimics the “returning home in the middle of the adventure” trope common to GU stories). She certainly has the classic distant and distracted parents – so much so that they don’t even realize she is dead! When she is dead, her body is literally underground, in the crawlspace below the house. Violet’s relationship with Tate is the most interesting part. He is both adversary and companion. As a companion, he watches out for her and tries to save her life, and helps her cope once she is a ghost. But as her adversary, he lies to her, tries to control her, and ultimately she must face off against him and banish him (“Go away, Tate!”). Not quite a full GU example, but worth mentioning. In a way, the whole tv series Fringe is a Girls Underground story, but in particular I think the end of season 2 through most of season 3 particularly qualifies. Olivia Dunham is an FBI agent (orphaned, by the way) who gets sucked into working on strange, unexplained cases, assisted by an old mad scientist, Walter, and his reluctant (at first) son, Peter. Over time, she comes to find out that the scientist experimented on her as a child, and that she has special powers because of this. They also discover there is a parallel universe that has become connected to ours, where things are mostly the same, but slightly different, and most of the people in our world have doppelgangers there. When Peter journeys to the other side on a potentially dangerous mission, Olivia follows him using her unique abilities, hoping to rescue him. While Peter and Walter make it back safely, Olivia is attacked by her double, who then assumes her persona and goes back with the others. Olivia is then stranded in the “otherworld,” kept prisoner by Walter’s harsher double (called “Walternate”), who is her adversary. She escapes and enlists a cabbie for assistance, who eventually goes from hostage to willing helper and companion. But while in captivity, Walternate had been feeding Olivia her double’s memories, and she soon begins to forget herself, thinking she is the Olivia from that world. Being a parallel universe, the “objects from home” theme is everywhere. Eventually Olivia recalls her true identity, and begins to struggle to get home, constantly thwarted by Walternate. She is also temporarily betrayed by a companion, though he comes around to helping her. In the end, she does not directly confront her adversary in a final showdown, but is able to escape his clutches and return home. 666 Park Avenue was apparently a book first, but this is just going to refer to the television show, which is only one season long. Jane and her boyfriend Henry become the building managers of a luxurious residential hotel in New York City called the Drake, owned by mysterious billionaire Gavin Doran and his wife. Right away, strange things start happening, especially to Jane. She is having weird dreams, seeing things, finding secrets hidden in the basement. While supernatural events are happening to many of the tenants simultaneously, Jane is clearly the focal point, and it is revealed eventually that she has a special tie to the Drake that goes back many years. She begins to unravel its secrets with the help of companions such as a girl who lives in the building (and knows more than she seems to), and a police detective who is called to the scene. Meanwhile, Gavin is grooming her boyfriend Henry for political office. In fact, it seems Gavin is behind a lot of the creepy things happening at the Drake. It is only clear at the very end that he is indeed Jane’s adversary in a very classic Girls Underground sense (there is sort of an intermediary adversary for a time, but he is defeated before the culmination). However, when offered a devil’s deal in the final confrontation with him, Jane takes a darker route than most Girls Underground. This is one of those examples of the kind of GU story that takes place entirely in one building, and a very labyrinthine and magical one at that (as there are passages to other places and times within it). While not a great masterpiece, it was definitely better than expected, and had moments of true creepiness. As I mentioned in my original Wizard of Oz post, the Tin Man tv miniseries is more than just a film version of the story, and really deserves its own post. It takes the basic characters and ideas of the story and makes something fresh and new that is nonetheless still a Girls Underground example. The girl Dorothy from the books has become a young woman, DG, who lives with her parents in Kansas but feels out of place, and frequently dreams of a mysterious woman who warns her that a storm is coming. When the storm carries her to a strange land, she eventually realizes that it matches the place her parents always reminisced about, and it is in fact the land of her birth, where she truly belongs. But her parents are not her true parents, so for a period she is adrift like a typical orphaned Girl Underground. DG quickly acquires companions – the muddled-brained Glitch (scarecrow), former lawman Cain (tin man), and empathic Raw (lion). Together with them, she seeks her true mother (the woman in her dreams), but faces resistance from the adversary, the sorceress Azkadellia (the wicked witch) and her minions. She makes the typical GU visit back “home,” albeit an illusory one (making it also an instance of the “forgetting herself” trope), and also consults the wizard, who has forgotten himself quite some time ago. Things get interesting when DG’s real identity is revealed, as well as her relationship with her adversary and the history behind Azkadellia’s descent into madness. DG must tap into her own hidden powers, and the heritage of her family (descended from the original Dorothy Gale), to rescue the woman who has become her adversary and thereby also save the land. At least in this version, she doesn’t go back to Kansas in the end! I just finished watching Series 5 of the new Doctor Who, and the finale confirmed my feeling that this whole run has been a Girls Underground story, with Amelia Pond as the protagonist more than the Doctor. SPOILERS (as River Song would say), because they’re unavoidable to discuss this one. So Amelia first meets the Doctor as a little girl, seven years old just like Alice. Her parents are inexplicably gone (although we find out in the end why they are curiously absent). She can sense that the crack in her wall is dangerous, and she prays for help, and he arrives. And he takes her on adventures, he is her initiator into the “otherworld” that is in this case all the worlds. Her boyfriend also becomes a companion on these adventures. It’s missing a strong, singular adversary, although there are many enemies along the way (and in a way, sometimes it seems that the Doctor himself is her adversary; he certainly endangers her life a lot). Now here’s where it gets good. Amy doesn’t just spend a little time forgetting herself like the typical Girl Underground, it in fact becomes a matter of life and death for many people that she remember who she is and who they are. And as often happens, she needs to rescue her companion – this is simply done by remembering him. In a way, it also touches on the other classic element – exposing a fraud – in this case by remembering that the world was once different. She also does this by solving the riddle the Doctor planted in her in another version of her life, which brings all the pieces together. There are other markers. She certainly returns home, actually several times in different ways along the journey. She even returns to her younger self. My favorite part, however, as it always is when it happens, is that she chooses to stay in the “otherworld” rather than to return to her boring life. Though in this one, she keeps her companion with her.